Posted February 2, 2016 by Denise Jenkins & filed under Uncategorized. This week marks the beginning of Carnival around the world, a festival whose ending marks the beginning of Lent. The celebration that sets the standard for all others is the one held throughout Brazil, but especially in Rio de Janeiro. 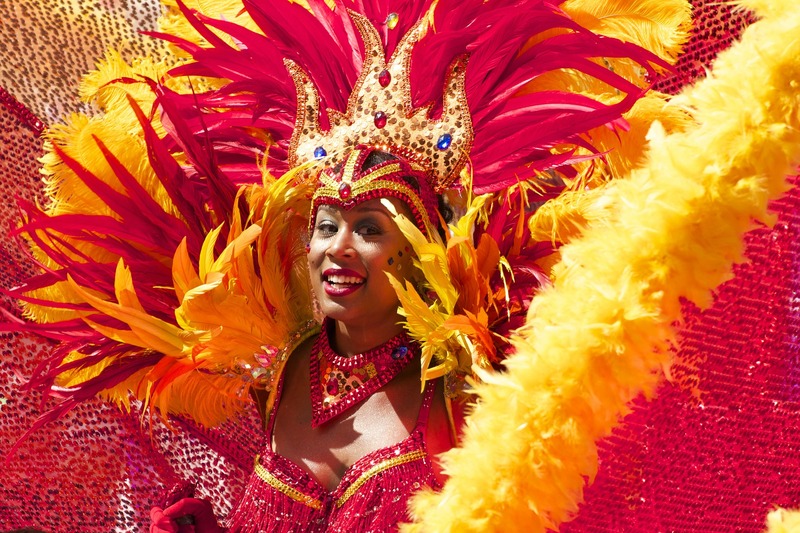 As is the case for so many traditional celebrations, Carnival’s roots run deep. A brief history of Carnival in Rio shows how the festival evolved into what it is today. Did you know that Carnival in Rio can be traced as far back as 1723? Portuguese immigrants brought it along with them – only back then, it was called Entrudo and consisted mainly of people soaking each other with limes and water. Eventually the authorities shut it down; too many people were losing control. Even so, it sounds like a far cry from the extravagant and over-the-top celebrations that go on today! Over the centuries, the notion of celebrating prior to the start of the Lenten season grew. In the mid-19th century, the parade took shape and soon costumes became a major part of the festival. Floats were added in 1907; originally this was just a parade of cars, which of course were an exciting new invention in those days. Musicians joined the fun several years later. Then the samba became the dance of Carnival, and the rest is history! Speaking of samba, it’s a central aspect of the festivities and is taken extremely seriously. There are over 100 samba schools in Rio alone, and each school rehearses all year for just one night of competition which takes place during Carnival. Some of these rehearsals are open to the public; even these nights get a little wild as locals gather to sing and dance through the night and into the morning. While Carnival is celebrated the world over, there’s no denying that Rio is the place to be for the most exciting and authentic representation of what the celebration is all about. It should be on just about every traveler’s bucket list of things to see at least once! And of course if you ever did want to head to Brazil for this or any of its many other cultural wonders, contact Iratex Passport & Visa Services for all your visa and passport needs!